» Crush Your 2018 Fitness Goals with the Best Training Shoes for Women! If the shoe fits, buy it in every color, right? However, deciding which shoes to buy-therein lies the dilemma. There are a whole lot of pretty shoes out in the market and it seems like there are hundreds that would really go with a lot of your favorite gym outfits but you know you want something more than just pretty shoes. You’re looking for shoes that will not only make you look good but also feel good. Shoes that can handle workouts that are tougher than your excuses. And they have to fit in the budget, of course. Let me help you out a bit with this article where I narrow down the choices to the best training shoes for women. Which Shoe Is The Best Fit For You? Ready to hit the ground running this 2018? Let’s go! When talking about training shoes, it is impossible to leave out the legendary Metcon line from Nike whether you’re a man or a woman. Just like the previous Metcons, the Metcon 3 is designed to power through the most punishing workouts—from sprints to rope climbing to lifting. No kidding about it, these shoes are meant to be as tough as you are when you are slaying it. These shoes are not meant for long-distance running so don’t expect any spring or cushiness from them. They do, however, offer great support and stability for those days of heavy lifting and are great all-around as a CrossFit shoe. Even though it might feel a bit stiff, it does not require a break in period and will gradually become flexible over time. Compared to the Metcon 2, there are only minimal functional changes in the Metcon 3. They did a complete overhaul of the materials used in making the new Metcons, though. The entire upper is now constructed of a Flyknit material and there’s more plastic on the sides of the heels to add stability. The new design features a drop-in midsole that is firm in the heel to add more stability while keeping it more flexible in the forefoot to give you enough cushioning for those sprints. 4 mm heel drop is acceptable for Olympic lifting. Coupled with the flat platform and firm-rubber heel, these shoes make for an explosive lifting session. Flyknit material used for the upper offers a greater degree of flexibility while the mesh on the heels and ankles provide breathability and keep you cool through intensive training. Textured rubber wraps up the midfoot to provide protection during those rope climbing exercises. Lace holes tend to get worn down faster. Do NOT wear these shoes for long-distance running! While they are good enough for short sprints, they could be quite uncomfortable for anything more than a mile. When talking about training shoes, it is almost impossible to leave Reebok and its Nano line out of the conversation. The company launched its first pair of Nano shoes sometime in 2010 for avid CrossFit athletes. 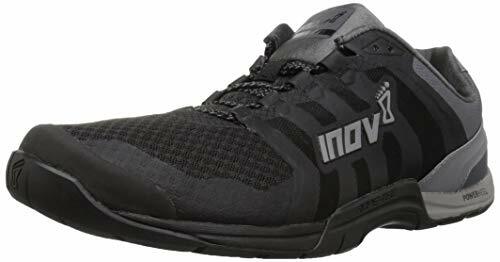 These shoes were designed to withstand high-intensity interval training as well as provide stability for weight training. Since then, Reebok has been hard at work redesigning and improving the Nanos until its latest offering-the Nano 8. If you are a fan of the previous Nanos then you’re probably going to love these, too, because the Nano 8 maintains the best parts of the previous Nanos while coming out with its own added features. In this latest scion of the Nano line, Reebok introduces Flexweave, its newest upper technology innovation. Flexweave is designed to enhance breathability, flexibility, and durability to create a shoe that is as tough as it is comfy. These shoes are extremely comfortable from the get-go. No need to break them in! Flexweave upper gives these shoes added breathability, flexibility, and durability. Maximum support, protection, and traction with RopeTec technology. Minimal drop (4mm) in outsole for added stability during weight training. 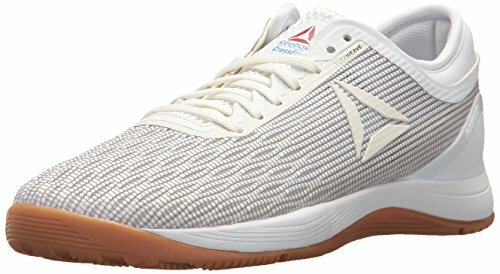 Reebok brought back the dual density midsole that was not in the Nano 7, making the Nano 8 more flexible. The Nano 8 feel a bit squishier when doing squats and deadlifts-probably due to the enhanced comfort and flexibility? Well, you can’t have everything. No more medial guards on the Nano 8 so rope climbing might be a bit of a struggle. 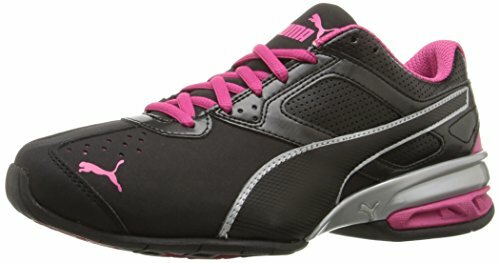 Puma is a brand known all over the world for its quality products and their Women’s Tazon 6 Cross-Training Shoes live up to the company’s name quite well. The sixth of its generation, these shoes keep all the best characteristics of its predecessors with minimal EVA changes in its design. Compared to previous versions of Tazon, this one features a sleeker and more streamlined design. If you want to look good while sweating it out, you might want to check out these shoes. It also offers a lot of color options so you can choose, which one is to your liking. Although these are heavier than other training shoes, the Tazon 6 is still quite comfortable. The synthetic leather upper also makes these shoes more durable. ​EVA heel pod for better shock absorbency and cushioning. These shoes are very comfortable, especially with the Eco OrthoLite sockliner, which is also a more environment-friendly alternative to polyurethane foams. An added plus for the more environmentally inclined athlete! Sleek and streamlined design with seven color options to choose from. Synthetic leather upper makes it more durable as well as making cleaning relatively easier. These shoes offer great arch support. Despite the comfort, these shoes are a bit heavier than most training shoes. If Zumba and cardio are more your jam, you might want to consider lighter shoes. Sizes run a bit small so you might want to order at least a half size up. If you like wearing thick socks, you might even want to go higher and get a full size up. If you like to keep close to the ground or do a great deal of deadlifting and/or squatting, this shoe is for you. The updated version of the popular F-Lite 235 shoes, the v2 features 360 degrees of RopeTec protection, an innovation of the company to prevent rope burns for those grueling rope climbs. The heel unit is also 40% denser to add more stability. There is also a toe bumper added to the mix for added protection and durability. This is perhaps the only shoe in the list which keeps you as close to the ground as possible. It features a 0 mm heel drop, making for a flat platform that will give you the force for those explosive lifts. Zero drop makes it great for deadlifting and squatting. You also have the choice to remove the 3 mm insole to keep your feet closer to the ground. The toe bumper protects your toes during burpees and increases the durability of the shoes. The 360-degree RopeTec provides added protection and durability as well as helps you grip the rope during those rope climbs. The denser heel unit provides more stability than the previous F-Lite 235. These shoes can feel a bit stiffer, probably due to the denser heel unit. Some users found the RopeTec tearing apart after a few weeks of use. A good training shoe walks the fine line between comfort and security. It must be comfortable enough for short bursts of speed while providing enough stability for those days when you’re doing weight training. If you have been wearing running shoes to do weights, then you will definitely feel the difference when you switch to a good pair of training shoes. 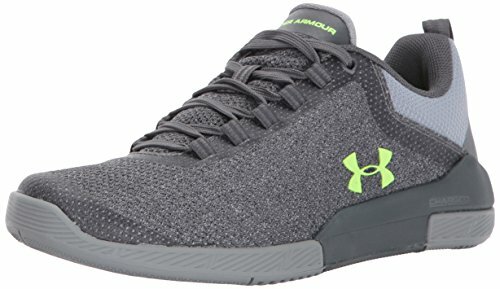 The Under Armour Charged Legend Hypersplice is light and comfortable enough for quick runs or sprints while providing enough stability for those days dedicated to squatting and lifting. The Charged Cushioning® sockliner ensures a snug and comfortable fit while in the midsole, it aims to deliver a boost in responsive cushioning. This technological innovation from Under Armour is said to absorb energy upon the impact of a foot strike and gives it back as an explosive burst so you get a boost with every step. These shoes are lightweight and comfortable with some users claiming they are good enough to be used all day. Breaking in is not even an issue. Charged Cushioning® technology in the sockliner and midsole to make these shoes responsive while maintaining comfort. The heel drop measures 4 mm, which is adequate for lifting. Under Armour employs a unique and reinforced webbed lacing system to ensure that your shoes stay on your foot whatever you do. The pattern on the outsole is designed to give you traction on all surfaces. People with wider feet will appreciate the wider toe box. Sizes run a bit big with these so you might want to get a smaller pair when ordering online. The heels have a weird tendency to dig into your skin. My advice is to wear higher socks to protect yourself if you choose to go with this one. When New Balance first opened, they did not start out making shoes-they made arch supports. Over the years, the brand made a name for itself making shoes that would fit athletes the world over. They were also one of the first brands to offer not only a variety of sizes to fit foot lengths but widths also, which shows their dedication to giving athletes the perfect fit. The New Balance Women’s 711, while not the latest model, certainly does not disappoint. It’s one of the most lightweight and breathable cross-training shoes in the market and if you’re into high-impact aerobics and Zumba with the additional cross-training on the side, you might want to take a look at these shoes. 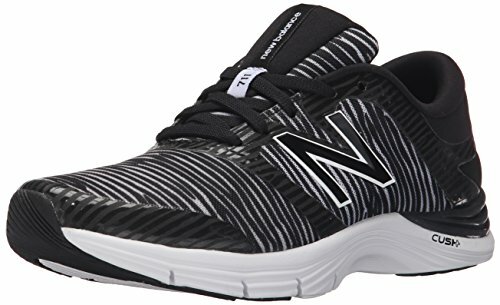 These shoes also use the Cush+ technology from New Balance, which is a foam compound that is 13% softer to boost comfort without sacrificing durability and stability. These shoes are lightweight and breathable. Features Cush+ technology from New Balance in the midsole, which make them very comfortable. Imprint foam pillows on the collar and the heel help relieve pressure. These shoes fit true to size with a nice width in the toe box so your feet don’t feel cramped in. Flat-footed people rejoice! These shoes have amazing support for flat feet. For a company that started out making arch supports, there was not much to be found in this model. These shoes have a heel drop of 8 mm, which is more than the ideal 4 mm for weight training. ASICS is another brand that has made a name for itself making training shoes for over sixty years. Their name is derived from the Latin words “anima sana in corpore sano”, which translates to “a healthy soul in a healthy body”. They are known for churning out quality products built with injury prevention first and foremost on its list of priorities. They are especially known for their GEL line. Do not mistake this for the standard gel cushioning in running shoes, though. This innovation from ASICS simply means that they put more GEL in the heel and forefoot of the shoes, which translates to added durability, cushioning, and support. The GEL-Fit Yui is designed for the all-around studio athlete, who will most likely jump from Zumba and aerobics to a bit of strength training. Aside from the GEL technology, ASICS High Abrasion Rubber® or AHAR® is also strategically placed in areas in the outsole to increase durability and guarantee you many more workouts with these shoes. If you’re strapped for cash, you will also be pleased to know that there are more economical ASICS products, despite their very good quality and exceptional focus on safety, will not murder your wallet or budget on the spot. The fully integrated fit system allows heel collar to wrap snugly around the foot for a customized fit. The long laces can be tightened to fit narrower feet and loosened to accommodate wider feet. The shoes are light, breathable, and very comfortable. Compared to most training shoes, the ASICS GEL-Fit Yui is pretty affordable. AHAR® technology on critical areas of the shoes to provide increased durability. There are a lot of complaints regarding the color of the shoes coming out all wrong compared to the picture posted on Amazon. The color is stated as Diva Pink and is actually a bright neon pink as seen on the ASICS website instead of the coral shade depicted in the picture. Most training shoes are geared towards male athletes with slight variations to fit female feet. If you are looking for a brand that is geared specifically towards women, look no further than Rykä. This is a brand that understands the woman’s foot and specializes in it, creating shoes that are for women alone. Unlike shoes from other brands where women’s shoes are only modified versions of men’s shoes, Rykä has studied the curves of a woman’s foot and the pressure applied to it. The Grafik 2 is a sleeker version of the original Grafik. 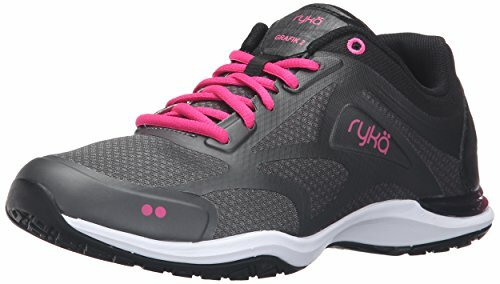 You might want to check this out if you are looking for a pair of lightweight and comfortable shoes that look sleek and sophisticated while you are slaying at Zumba or aerobics. These are low-impact shoes that are perfect for studio and dance workouts. The upper is made of a breathable mesh material that provides adequate ventilation. The Grafik 2, like most shoes from Rykä, have a narrower heel with a more spacious forefoot. If you have wider feet, you might want to go at least a half size up as they tend to fit a bit snugly. The shoes feature a sleek and sophisticated design that is aesthetically pleasing. The Grafik 2 is designed specifically for the female foot and not as a mere afterthought to a man’s shoe. Rykä is a brand that recognizes the differences not only in the form of a woman’s foot but also in the pressure applied to it. Lightweight shoes made of breathable material and quite comfortable. Some buyers even report that you do not need to break it in. Offer good support, especially for those with fallen arches. The Pivot Point on the rubber outsole makes it perfect for Jazzercise and other dance workouts. These shoes fit snugly and are a little narrow. You might want to go at least a half size up if you have wider feet. The prince might have turned the kingdom upside-down looking for the one girl who would fit the glass slipper but he’s got nothing on Cinderella on the prowl for a new pair of shoes. Shopping for training shoes is a bit different than shopping for shoes that would go with your next outfit. Aside from making you look good, it has to be tough enough to keep up with your workouts as well as versatile enough to go from jogging to weights to spin class. There is a misconception that comfort and exercise do not go wrong together but that notion is particularly bonkers. Pain is one of the warnings your body screams when something is wrong so it should never be dismissed so easily. Pain and discomfort are particularly demotivating and will even cause you to perform badly in the gym. Try jogging in badly fitting shoes and you will know what I am talking about. One of the first things that you should consider when buying a new pair of shoes is if it fits you right and you are comfortable in it. This is why I mostly prefer to shop for shoes in a physical store where I can try them on and see if I’m willing to go for miles in them. But with everything going digital, this could get a lot harder. If this is the case, try to search out which shoes provide breathability and comfort. Scrutinize sizes closely and try to read through the comments if other buyers also found the shoes true to size. Really, the comments section is a motherlode of information. Will you be joining a lot more spin classes this year or are you leaning towards yoga? Jogging or weightlifting? Training shoes might be more versatile in that they can take you from the squat rack to the treadmill and if you are planning a well-rounded fitness routine this year, then you should look at shoes that can handle it. However, if you are planning to spend more time on weight training, then you need a pair of shoes that have little to no drop from the heel to the forefoot to keep your feet as close to the ground as possible. Running shoes might be great for pounding miles underfoot but they are a totally bad idea for weightlifting. If you are planning to pound more miles underfoot this year, however, then you should get cushier shoes. Training shoes might be good for a few miles but not if you’re planning ten or more miles. Odor and bacteria resistant? Breathability and a bit of extra support? Gone were the days when training shoes all looked practically the same with minor variations from one pair to another. Now, with technological advances, you are looking at materials that not only offer you comfort but can also prevent that nasty odor from sweaty feet. I have to admit that the fancy trimmings can certainly turn your head when you are looking for the best training shoes. However, you should also keep in mind that added features can also amp up the price range. I admit it. I am a sucker for pretty shoes. I also have color preferences. Let’s face it, a good-looking pair of training shoes can not only make you look great, they are also good for boosting motivation. If you have a pair of aesthetically pleasing shoes with great fit and support as well as versatility, you’ve practically got it made. Now we come to the damper of the shopping experience. Price is the great rate-limiting step when it comes to shoe-shopping. It is what ultimately determines if you get to take the shoes home with you or not. 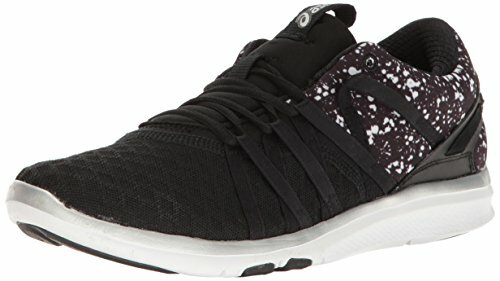 Generally, branded shoes with a reputation for delivering gains also come with a topnotch price tag. If they come with the fancy trimmings, expect prices to shoot higher. Not a bit. There are also a lot of affordable shoes that can give you the same fit and comfort without cramping your style and your wallet. These might not be as fancy or popular as the well-known brands but they can deliver just as much. 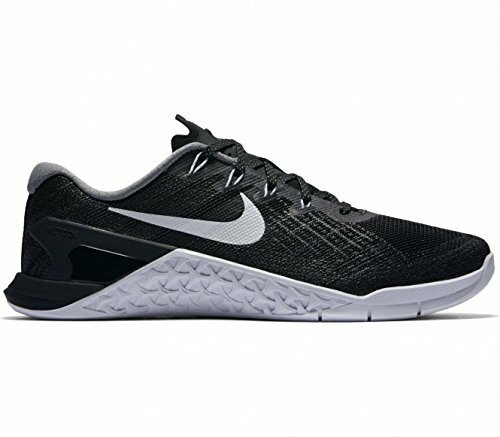 Although it can be a bit pricier than some shoes on this list, the Nike Metcon 3 is probably one of the best all-around CrossFit shoes you can find. They are comfortable enough for short runs but give you the necessary stiffness and stability for those days when you need explosive force for deadlifting or squatting. These shoes are also pretty comfortable and will last you for a long, long time, which makes them a good investment. Remember, a great pair of shoes can help you gain more while a lousy pair can hold you back in your workouts. In the end, it is you who must decide which shoe is right for you and your level of activities. Whether you’re into cardio or studio classes or heavy lifting, there is a training shoe that will suit your needs and your feet. Did your favorite training shoes make it on our list? Sound out in the comments below! Don’t forget to share this article with your family and friends to help them decide which training shoes to get to crush their fitness goals this 2018!